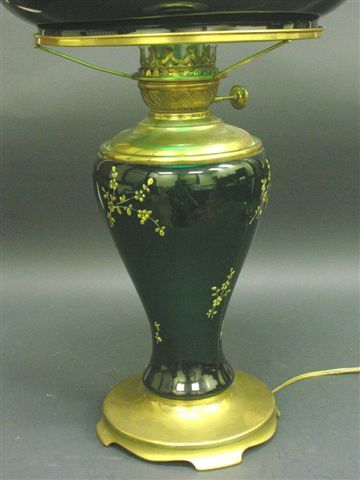 Antique Pittsburgh success emeralite doctors oil lamp. Measures 27" tall. Stunning condition with no damage or repairs. Has been electrified. 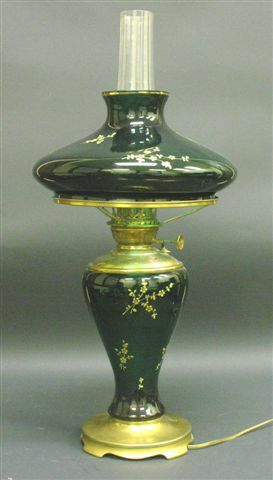 The deep emerald green is magnificent with hand painted floral design and accented in gold. A real conversation piece in any room and is properly signed. A practical and rare piece of American period lighting. Almost none have survived these past 90 years. This is a rare and collectible lamp. Notice the graceful clean lines. A practical and beautiful and great investment. 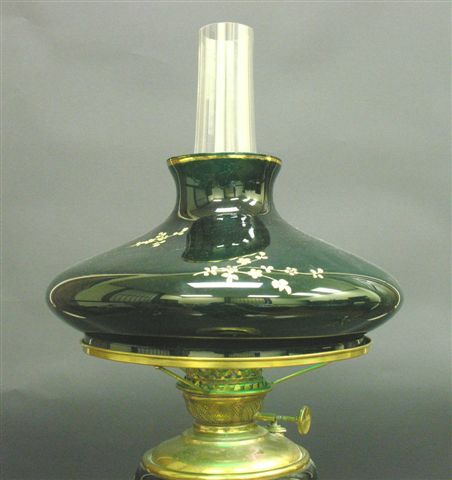 The Pittsburgh "Pilabrasgo" Co. was started by Nicholas Kopp in 1900, a chemist known for his knowledge and ability to hand mold and color beautiful lamps that were very popular until 1926, when the company bankrupted. Now the upper end Pittsburgh lamps are popular and command high prices.